Upgrade your cane’s grip for improved comfort and confidence. This patented, ergonomically designed grooved cane grip features an expanded, cushioned palm surface — more palm contact means less finger stress and maximum comfort. 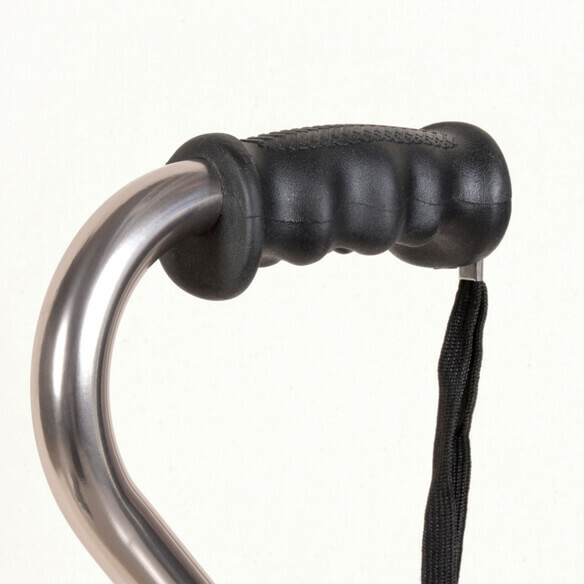 Cane handle grip provides confident control and fits either the right or left hand. 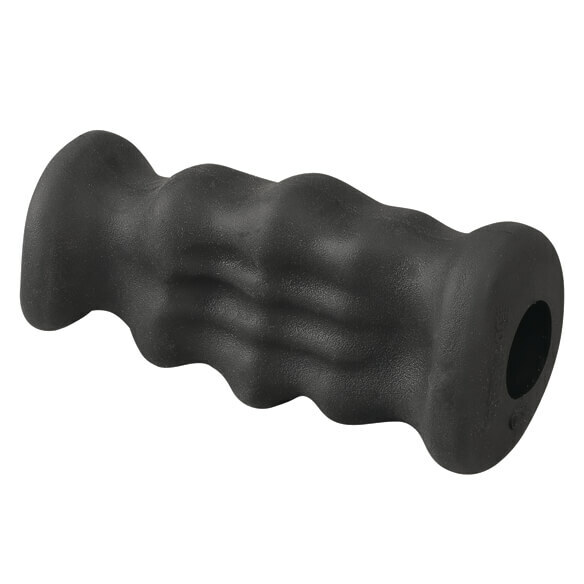 Durable thermoplastic grip contains no rubber, latex, odors or allergens. Walking stick handle grip measures 4 1/4”L x 2 1/4”W x 1 3/4”H. Because the last one I bought for $9.99 a piece did not last long at all, and I bought three..
Just wanted to try this grooved holder.